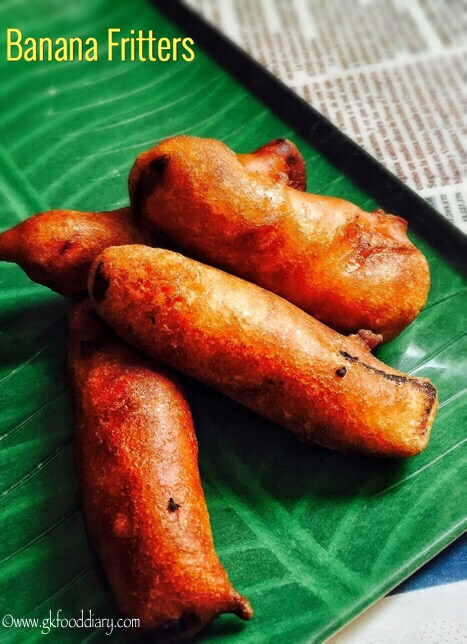 Let’s check how to make this crispy banana fritters for toddlers and kids. Keep all ingredients ready. Peel the bananas. 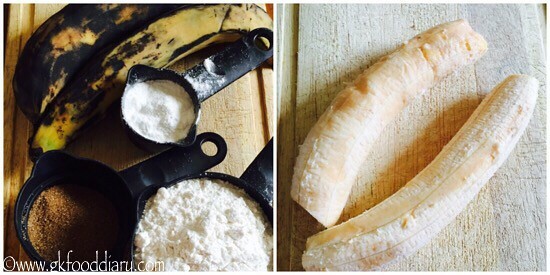 Cut each banana into quarter inch strips. In a mixing bowl, add wheat flour, rice flour, baking soda, brown sugar, cardamom powder and required salt. 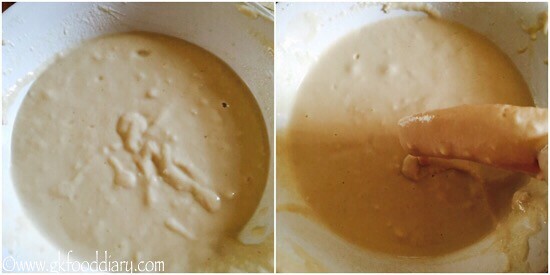 Add required water and mix all the ingredients well to form a batter consistency. Dip each banana strip into the paste. 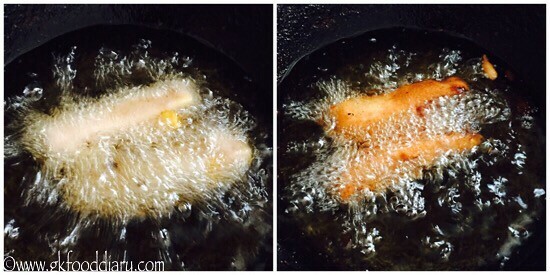 Deep fry in the pre heated oil until golden brown.Do it in batches. Drain it in tissue paper to remove extra oil. Switch it off once done and serve. 1. Keep all ingredients ready. Peel the bananas. 2. Cut each banana into quarter inch strips. In a mixing bowl, add wheat flour, rice flour, baking soda, brown sugar, cardamom powder and required salt. 3. Add required water and mix all the ingredients well to form a batter consistency. 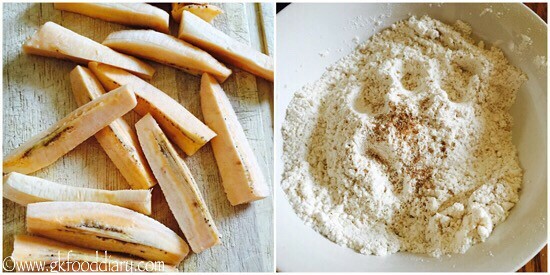 Dip each banana strip into the paste. 4. Deep fry in the pre heated oil until golden brown.Do it in batches. Drain it in tissue paper to remove extra oil. Switch it off once done and serve. 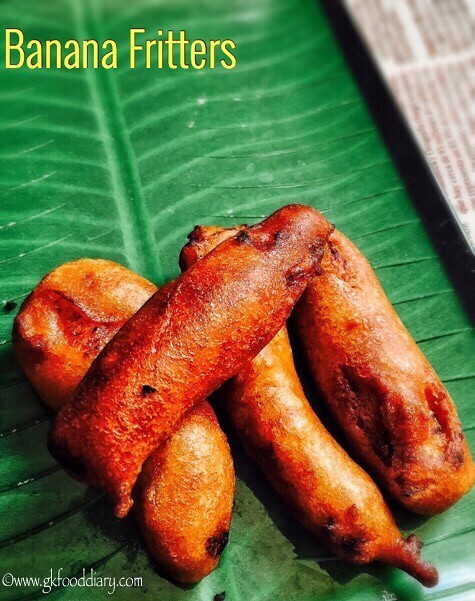 Crispy banana fritters is ready! 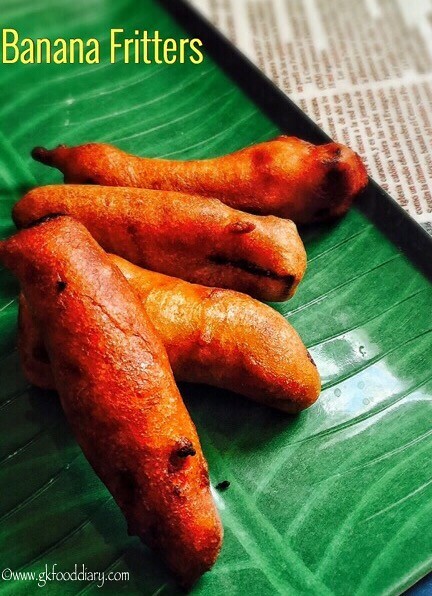 You can use any long banana variety, but Kerala Nendran banana gives a nice flavor. Choose medium ripe banana for best results. Adjust sweetness according to the taste of banana. You can use jaggery instead of brown sugar.